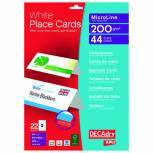 Decadry Perforated Place Cards 200gsm White (Pack of 132) DPOCB3713 Pack of 1 Heavyweight 200gsm place cards suitable for inkjet and laser printers. Extra fine micro-perforated card. 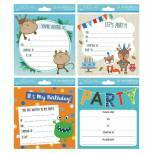 6 cards per A4 sheet (85 x 46mm). Decadry Perforated Place Cards 200gsm White (Pack of 44) OCB5107 Pack of 1 Customisable place cards for identification. Perfect for all conferences and meetings. Micro-perforated for easy and neat separation. 200gsm. 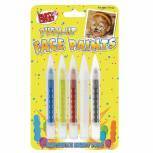 Suitable for use in Laser and Inkjet printers. 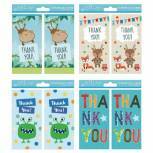 2 cards per A4 sheet, 22 sheets per pack. 210 x 63.5mm. 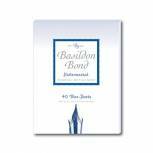 Basildon Bond Blue Writing Pad 137 X 178mm (Pack of 10) 100100123 Pack of 1 Traditional writing pad featuring the distinctive Basildon Bond Watermark. High quality blue 90 gsm paper. 40sheets per pad. 178 x 137mm. 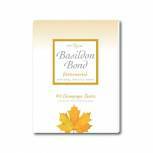 Basildon Bond White Writing Pad 178 X 229mm 40 Sheets (Pack of 10) 100103860 Pack of 1 Traditional writing pad featuring the distinctive Basildon Bond Watermark. High quality white 90 gsm paper. 40sheets per pad. 229 x 178mm. 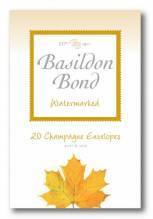 Basildon Bond Champagne Writing Pad 137 X 178mm (Pack of 10) 100101040 Pack of 1 Traditional writing pad featuring the distinctive Basildon Bond Watermark. High quality champagne 90 gsm paper. 40sheets per pad. 178 x 137mm. 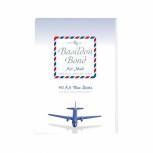 Basildon Bond Blue Airmail Writing Pad 148 X 210mm (Pack of 10) 100104698 Pack of 1 Basildon Bond airmail writing pad with premium 70gsm lightweight paper. 40 sheets per pad. 210 x 148mm. 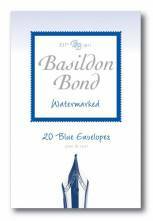 Basildon Bond Blue Envelope 95 x 143mm (Pack of 200) 100080064 Pack of 10 Traditional envelopes featuring the distinctive Basildon Bond watermark. Quality 90gsm Blue paper, 10 packs of 20 envelopes. 95 x 143mm. 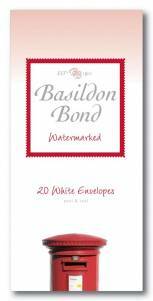 Basildon Bond White Envelope 95 X 143mm (Pack of 20) 100080067 Pack of 1 Traditional envelopes featuring the distinctive Basildon Bond watermark. 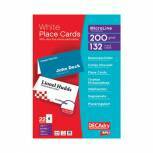 Quality 90gsm white paper, 20 envelopes per pack. 95 x 143mm. 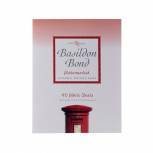 Basildon Bond White Envelope 89 x 187mm (Pack of 200) 100080068 Pack of 10 Traditional envelopes featuring the distinctive Basildon Bond watermark. Quality 90gsm white paper. 10 packs of 20 envelopes. 89 x 187mm. 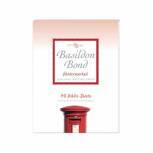 Basildon Bond Champagne Envelope 95 x 143mm (Pack of 200) 100080069 Pack of 10 Traditional envelopes featuring the distinctive Basildon Bond watermark. Quality 90gsm champagne paper. 10 packs of 20 envelopes. 95 x 143mm. 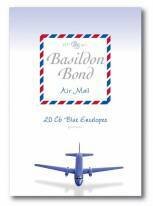 Basildon Bond Blue Airmail Envelope 114 x 162mm (Pack of 200) 100080079 Pack of 10 Made from high quality 70gsm paper. Traditional blue airmail design. C6 114x162mm. Gummed closure for security. 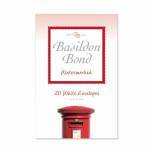 10 packs of 20 envelopes..
Basildon Bond White Writing Pad 137 X 178mm (Pack of 10) 100105351 Pack of 1 Traditional writing pad featuring the distinctive Basildon Bond Watermark. High quality white 90 gsm paper. 40sheets per pad. 178 x 137mm. 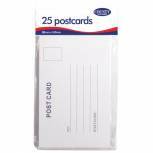 Post Card White (Pack of 300) C230 Pack of 1 County Post Cards. Plain post cards with address section printed on one side. Size: 88 x 140mm. 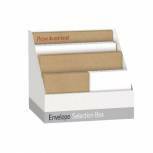 Envelope Selection Box Assorted White/Manilla UB70062 Pack of 1 2 sizes: C4 and C5. 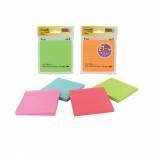 Includes C5 envelopes in white and manila. C4 envelopes in white and manila. C4 board back envelopes in manila. 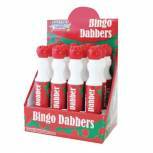 Comes in a handy easy selection box. 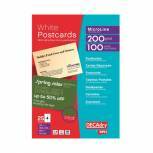 Decadry Postcards A4 Micro-perforated Sheet White (Pack of 100) OCB3325 Pack of 1 Decadry post cards. Suitable for inkjet and laser printers. 4 cards per A4 sheet (148.5 x 105mm). 200gsm.